Mrs. Jan Heinrich ’00, started out at United Theological Seminary as a student in the late 1990s, taking classes part-time. A few years after her graduation in 2000, she and her husband, Jim, took the opportunity to give back to the seminary. 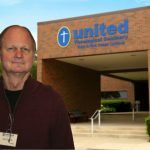 “It was in 2006 that the Heinrich Family Foundation, funded by my mother’s and father’s estates, became fundamental, and that same year, Jan and I spoke with former United President Ed Zeiders at the West Ohio Annual Conference,” Mr. Heinrich said, who came onto United’s Board of Trustees in July 2008 and currently serves as First Vice-Chair. 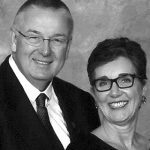 After some ongoing conversations, the Heinrichs invested in the Heinrich Center for Wellness Ministry and Education. Mrs. Heinrich said her focus was in pastoral care, and she sees the center as an outlet for that interest in developing and strengthening future leaders to include, not just spiritual wellness, but also physical, emotional, social and mental wellness. Mr. Heinrich noted they both have been interested in United, whether through his work on the board, her work as a student and their contributions to the wellness center. Mrs. Heinrich, who presently serves on the Otterbein Senior Lifestyle Choices Community-St. Marys Board of Directors, said she feels the seminary has become a leader in its field, and it has had an impact on her journey.